This week’s Artist of The Week has been chosen by TuneCore who give artists the opportunity to sell their music online whilst keeping 100% of the sales revenue. 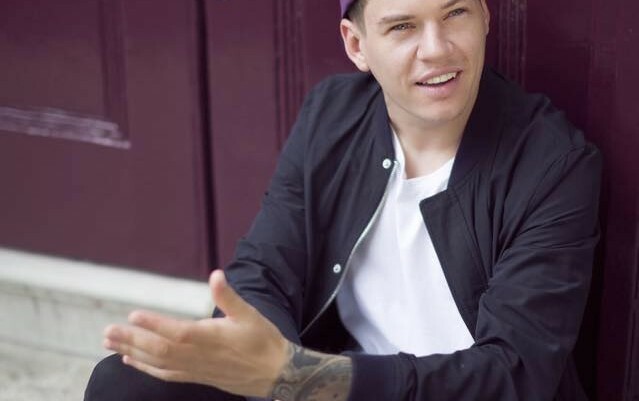 Originally from North Yorkshire, singer-songwriter Jamie Grey released his EP “To Get Here” in September and within hours of its release to iTunes it hit the top 10 in the RnB charts. “The music I grew upon, I was really inspired by 90s RnB music,” says Jamie. “That was what I was really into, and I think that’s influenced the songs I write”. Jamie music brings together the sounds of 90s RnB – including its signature acoustic licks and slick production values – with his own individual stripped-back writing style. This, alongside the raw vulnerability of his unmistakable voice combine to give a very radio friendly and currently blend of RnB and modern pop. Jamie regularly demos new material on his growing YouTube channel, and since the release of his EP has been featured by emerging talent powerhouses Sofar Sounds and the Reload Sessions. A headline session at The Finsbury in North London takes place on February 23rd, marking the start of a year which hopefully brings some great things. Opening up with a funky rhythm and silky smooth vocals laced with a voice full of pain and passion – Jamie Grey is the cool character on this weeks playlist. Instant comparisons come to mind of artists such as Maroon 5 and Justin Timberlake listening to Jamie, and ‘I like to think you do’ makes the most of a catchy hook (that has me singing along after just one listen I might add). I’m definitely excited for the potential young Jamie Grey holds for the future and a strong, soulful start to the year.